Posted on 05-04-2017 by Peter W. Szabo & filed under UX Evangelism. I’m speaking at the Design Lab #1‘s event on Tuesday, 18th of April, 2017. The event will be held at WeWork Aldgate Tower, 2 Leman Street, London, E1 8FA. My talk will be titled Wireflows: plan your product. 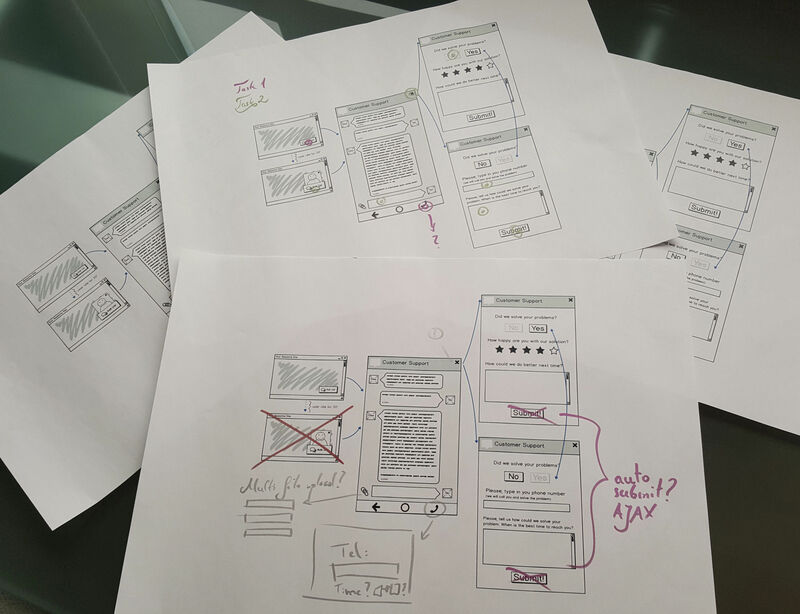 Wireflows are the plans of our product. It’s an enriched journey map, and it is based on a good understanding of the users, their pain points and behaviours. In this talk, we will explore the full process of creating wireflows. In the early phases of the project, we can create low fidelity wireflows, continuously improving them during Wireflow Improvement Workshops. Later, before rapid prototyping, we achieve a high fidelity wireflow, as a close-to-real representation of our solution. I will show you how to create great wireflows, which lead to better products, for the benefit of our users.